@Valken @patpgtips I play on the Outkasts.EU server all the time! It's the best server to play escape, in my opinion :D Thanks @NeoArmageddon and @scruffy for this wonderfull mission! And happy holidays to everyone! That's not only on Lythium, but on more maps. But that's a template problem I think. Scruffy also mentioned it, in his previous post. You guys running Arma on a laptop? Hmm I can't get on your server I think... The buildings addon has a wrong signature, but downloaded it a minute ago on your site. There is no key in the folder, maybe that's the problem. Sure! Find the folder that Steam saves the workshop mods to (should be something like Steam/SteamApps/Workshop/Content/105480 Inside that folder with the weird number (105480 in my case) theres a TON of folders with random numbers on them. Go to the webpage for the desired workshop mod on Steam. If you look at the URL it will end in the number that corresponds to the folder on your computer. Manually add the folders to TADST that correspond to the workshop mods you want. ALSO! 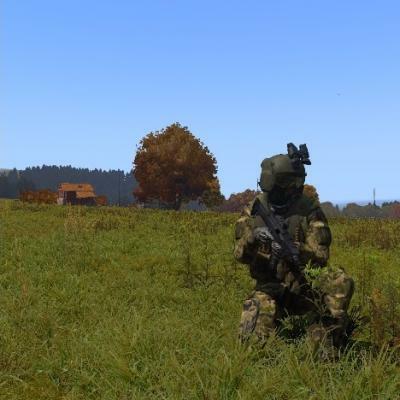 Use the sim-link in the Arma 3 root directory (!workshop). Make sure you have Show Hidden Folders enabled in Windows. It contains shortcuts to the mod folders without having to use the Steam Workshop UID. I think this is the successor of it. Is there a way to try the mission, without being on dev? I wish there was a arma2 like version of wasteland, in arma3 so much!